DJI announced the Osmo Pocket, a highly compact three-axis stabilized camera created for everyone. Designed to be incredibly easy to use, Osmo Pocket offers a host of intelligent features to help capture creative videos and photographs in a portable form factor. At 4 inches tall, Osmo Pocket is DJI’s smallest three-axis stabilized camera. It redefines DJI’s family of handheld gimbals offering features never before seen in a product this compact. A 1/2.3-inch sensor records 12-megapixel photographs and 4K video up to 60fps at 100Mbps in stunning detail. Osmo Pocket also uses built-in dual microphones and advanced noise-canceling algorithms to ensure you capture high quality audio to match your footage. Furthermore, a battery life of up to two hours shooting video in 4K resolution at 30fps means you can always rely on Osmo Pocket to capture your story no matter where you are at the very best quality. Designed with ease of use in mind, Osmo Pocket doesn't just let anyone shoot smooth, cinematic footage; it empowers creativity. The gimbal camera uses a 1-inch integrated touch screen that provides a high quality live view as well as the ability to toggle through the various shooting modes, adjust settings, review footage and gain access to a full suite of creative features. 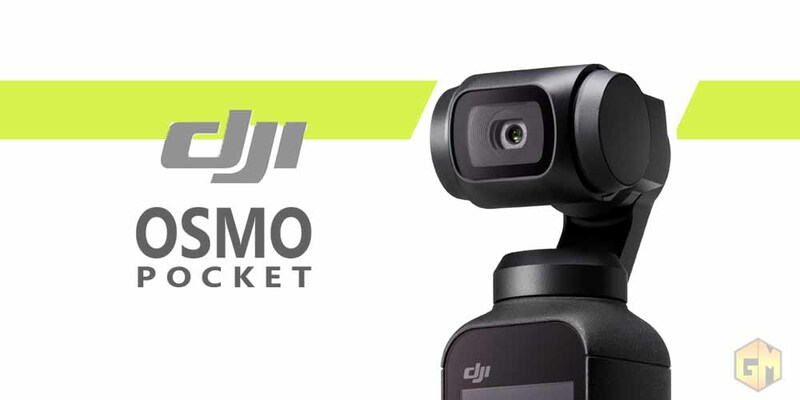 The Osmo Pocket retails at PHP 23,200 and will be available for pre-order at DJI Flagship Stores, DJI Authorized Retailers and additional retailers starting today. Pre-orders will start shipping on December 15.